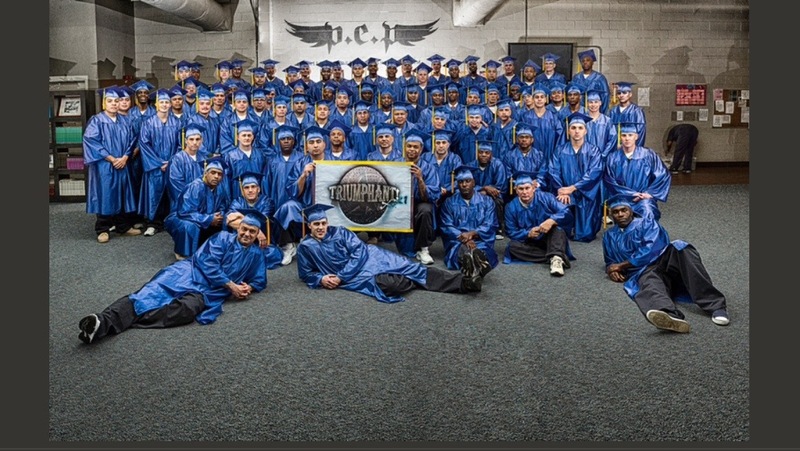 Check out these great photos from the graduation of Class “Triumphant” 21 from the Prison Entrepreneurship Program! The Prison Entrepreneurship Program will host the Class “Triumphant” 21’s Business Plan Workshop on Saturday, April 26, 2014, 9:00am-3:00pm. This is a perfect volunteer opportunity for those who cannot attend Friday events, such as our “Selling with Purpose” event the day before (on Friday, April 25 from 11:30 – 5:00pm). Get your hands dirty while working one-on-one with participants to provide written and oral feedback on their business plans. Combined with the preceding day’s feedback on their personal presentations and business pitches, this is a great way to make good business plans even better! See schedule to RSVP here. Do you love to sell? Does your heart flutter at the thought of closing a deal or winning a new customer? If so — the Prison Entrepreneurship Program needs you! We are seeking a executive volunteers (particularly those with sales experience!) to join us for Class 21’s “Selling with Purpose” event will be on Friday, April 25, 2014 from 11:30am-5:00pm at the Cleveland Correctional Center in Cleveland, Texas (about 45 minutes North of Houston). Our “Selling Night” event gives our participants the opportunity to present their Business Plan to you as a potential customer. This fast-paced event involves volunteers hearing one-on-one “sales pitches” in a speed-dating format. You then grade the presenters so that they can strengthen their approach over the final months of the program, all in preparation for the ultimate test before graduation. Volunteers may visit prison up to four times before they are required to attend training through the Texas Department of Criminal Justice. This important training is conveniently offered the morning before a PEP event (Class 21’s “Selling with Purpose” event) at the Cleveland Correctional Center in Cleveland, TX. You will learn the “do’s and don’ts” of being a trained volunteer. See schedule to RSVP here. REMINDER … volunteers are required to retrain every two (2) years. So, if it has been more than 2 years since you took this last, you should attend this training (and then stick around to use your volunteer skills at our Selling event). Of course, if you cannot make it in person, on-line retraining is available for those who have already been trained in person. TDCJ developed this program to encourage and assist volunteers in meeting this retraining requirement. Please click here to learn more. The following was written by our incarcerated participants. It was originally written for their families, but we wanted to share it with you so that you can get a glimpse of what we do inside of prison… from the perspectives of our participants! Monday, March 10, 2014 — Toastmasters is evolving and competent speakers are emerging from the woodwork. The level of preparation from the speakers is increasing and the topics are vast and all-encompassing. This is coming from just the second round of speeches; once we reach the tenth round the metamorphosis will be astonishing. Everyone is doing great and the atmosphere is very relaxed as our bond of brotherhood allows us to speak comfortably to everyone present. Tuesday, March 11, 2014 — We have gotten into our groove with the entrepreneurship book. This is our second week in a row with a 90 test score average, a 92 to be exact for today. We have earned our namesake as Class “Triumphant” 21, for we are victorious and always prevail. We have almost reached the halfway mark of our class and I can’t help but think of the mantra for the Roman legions: “In Omnia Paratus,” which means “ready for all things.” By our actions we have proven that we are ready for all things and triumphant in everything we encounter. Wednesday, March 12, 2014— Brian T. has been giving us tons of useful and beneficial information from our readings from Living in the Village. The importance of saving and investing becomes clearer and clearer as our studies progress. I know that we will take the information learned here and apply it all in our lives upon our release. The arsenal of new information we have gotten ensures only one thing: success! Thursday, March 13, 2014 —We spent a majority of the day engulfed in educational videos. At the end of the day we had Pat M. and Marcus H. give us encouraging words which always recharge our batteries and prepare us for whatever comes our way. An important fact that Pat brought to our attention was that in a few months we will not graduate, instead we will go through a rite of passage. A graduation signifies finality; a rite of passage represents but a single step in a long journey through life. Friday, March 14, 2014 — Today was a special movie day, as we were able to watch The Inevitable Defeat of Mister and Pete. This was one of the best movies I have seen in a long time. I got caught up in the characters and their struggles to survive. It kept me guessing all through the movie as to what was going to happen next. In some way, form, or fashion all of us could relate to something that transpired on the screen. It’s nice to see the variety of fruit starting to manifest in Class 21 from all the seeds that PEP and all our brothers have been planting. Keep up all the good work, brothers! WOOHOO! Some awesome photos are now available from Class “Triumphant” 21’s most recent event … Excellence in Etiquette, featuring the truly inimitable Colleen Rickenbacher (a.k.a. The Necktie Assassin). We are grateful to our dear friend Genie Erneta for sponsoring this event (including the best meal served this year within the Cleveland Correctional Center)! The following was written by our incarcerated participants. It is intended primarily for their families, but we wanted to share it with you so that you can get a glimpse of what we do inside of prison… from the perspectives of our participants! Monday, February 17, 2014 — Today was Toastmasters as usual, yet that’s not entirely true. Why? Because there was a calm that settled in and that made these Toastmasters whom I saw today scarcely resemble the “fraidy cat” versions seen earlier in class. Men laughed, smiled and delivered speeches with a new confidence. It really was a sight to behold. I don’t think any of us dared to believe that we could actually become competent public speakers, but week by week we actually see the miracle taking place — truly amazing. Tuesday, February 18, 2014 — Today was perhaps the most dreaded Tuesday of all: we were given our tests on EOU’s (economics of one unit). Basically, we needed to calculate our profit margins on one typical unit of sale and use that information to determine things like gross profit, breakeven points and net profits in various business scenarios. For those born without the math gene, gulp! True to form, the EOU test gave nearly two thirds of our class extra homework (more EOU’s). One way or the other, we’ll get them down, for we are TRIUMPHANT 21. Wednesday, February 19, 2014 — Peer educator Bryan Troy (a.k.a. Cruella De Vil) led us in a fascinating recap of a couple of chapters in personal finance. We learned about how much a daily cup of coffee saved at an 8% rate would be over 20 years. Suffice it to say, a cup of Starbucks a day keeps a dream home away! We also had a “town hall meeting” to address a growing weariness in us from all the assignments, tests and homework. We were told that we are trudging the same difficult stretch that all previous classes have bogged down on as well, and we were encouraged not to lose heart. The heat of the refining fire is doing its work and it’s not always comfortable. If it were easy, everyone would do it. But it’s not, so only the proud few band together as brothers to unite and see each other through PEP style. Thursday, February 20, 2014 — Let’s call today prep day. We mainly practiced our 3- minute pitches on each other in preparation for presenting them in front of a panel of executives tomorrow. Memorizing the most important 3 minutes worth of our business concepts and delivering it passionately and flawlessly to a panel of experts strikes the fear of God in most of us. We needed that practice, because iron sharpens iron. Class 21 Participant Receives Feedback on His Pitch From Executive Volunteers. Click to see more photos from the day! A group of Class 21 Participants with some of the MBA Volunteers for Concept Day. Click to see more photos from the day! As the days grow long and weeks get shorter, stay consistent with your studies and learn from all your endeavors. For the road less traveled is the one traveled by courageous men we call PEP brothers. Photos of Class “Triumphant” 21 are now available! See photos from Kickoff here. The following email was sent to one of our loyal Accenture volunteers by a fellow employee whom she recruited to join us in prison. It is a great explanation of the impact of volunteering through PEP. Want to join Brenan and others for such an experience? Check out our upcoming event schedule here. I just wanted to tell you that you were absolutely right! PEP was such an unimaginably INCREDIBLE experience!! The event started with our group of executives entering the Gym to such a warm and embracing welcome by all of the class 21 participants. During the actual Kick off session we participated in numerous ice breaking introductory events. It is hard for me to formulate the words to express how meaningful and touching this experience was to me. 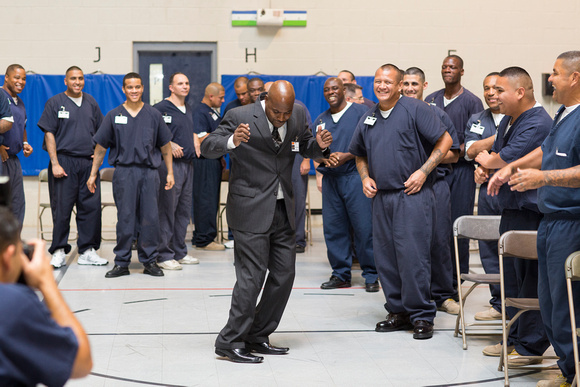 When meeting with these participants, I had the opportunity to do more than just speak with inmates, I met men who were eager to make a change. The guys were so genuinely expressing their gratitude for PEP and the tools that PEP is offering them to not only be successful in business, but tools that will help them reinvent their lives. You hit the nail on the head, when you said that you forget you are in a prison while participating in PEP. I don’t want to write an overbearing email. I just want to say in all that I had an amazing experience and look forward to helping see class 21 through their development in PEP and life. I want to thank you and let you know I now understand why you are so passionate about this program, because it is truly changing people’s lives. This Week in Prison: Class 21 Kickoff! It’s time to get down! This Friday, January 24, 2014 we will welcome our newest participants into the PEP family! The event serves as the official launch of Class “Triumphant” 21 in the Prison Entrepreneurship Program. This class begins our march towards the next thousand lives that we will transform with your support. During this week’s event, we will share inspiring stories of success from our executive volunteers and past PEP graduates. One-on-one time will also allow you to meet our new recruits! The event runs from 11:30 until 5:00pm, and we would love to have you join us. See schedule to RSVP here. Can’t visit us in prison? No problem! You can still support Class 21 by volunteering as a BUSINESS PLAN ADVISOR. That’s right … you can volunteer by email! Our staff will send you one email per week with a business plan that is being developed by one of of our participants. You will read it, edit it and provide feedback. Most critically, you will also provide market research for our participants (who lack Internet access while in prison). The entire volunteer project can be done anonymously, if you would like. This is a wonderful opportunity to invest an hour per week in a program that will truly transform lives. Please learn more and register here.